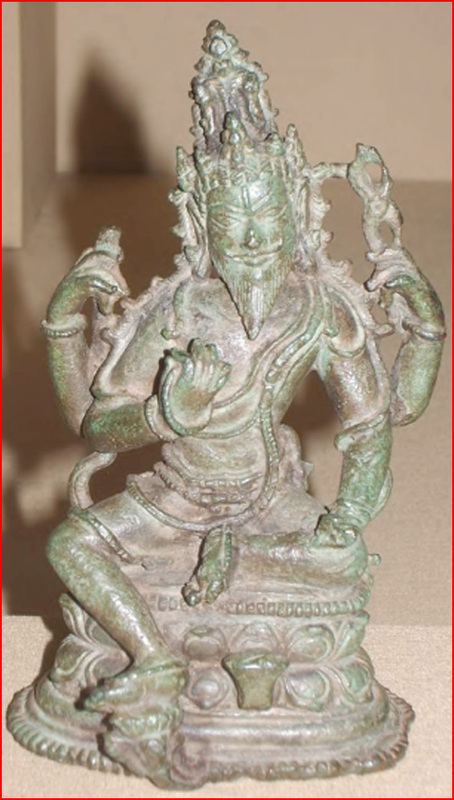 Copper statue of the god, Agni. Bihar, India - 11th century. Ancient mythology ascribes godlike identities to the forces of nature. Could they be representations of plasma phenomena? No dictionary of mythology will waste any words defining Agni as 'the god of fire', the living force of nature encapsulated in any and all natural manifestations of fire, ranging from the cozy hearth fire at home to the most devastating lightning strikes observed outside. But just how much does such a standard definition of a mythical god tell us? To qualify a mythical and religious character such as Agni primarily in terms of his common appearance in nature, not in terms of his activities in myth, is a reflection of the so-called 'nature school' of myth. This school saw its heyday in the late 19th century but has left an indelible stamp on the popular understanding of mythical entities today, as reflected in dictionary entries. Starting from the assumption that each mythical deity in each culture originated as a metaphor for some aspect of the natural world or of human society, countless familiar definitions arose. Do Zeus, 'the sky god', Hephaestus, 'the fire god', Helius, 'the sun god', Poseidon, 'the sea god', Aphrodite, 'the goddess of love', Artemis, 'the goddess of hunting', and Ares, 'the god of war' reflect anything of the way the ancients themselves looked at these gods? With a complex 'fluid' subject such as mythology, it is better to identify historical tendencies and geographic patterns than to offer facile over-generalizations. Greek thinkers from the Hellenistic period (4th century BCE) onwards certainly tended to compartmentalize the realms of nature and culture into sections that would neatly correspond to divinities on a one-to-one basis. Some Roman mythologists famously took this to extremes, naming specific gods for the most nuanced aspects of any conceivable activity in life. But these rational efforts really reflect no more than a contrived and secondary systematization of the unfathomable welter of overlapping and contradictory data mythology really is. The comparative mythologist knows that the closer you look at the cult and myth of any given god or goddess, the greater the discrepancy between the straightforward dictionary definition and the 'facts'. The further one goes back in time, the stronger the following two tendencies. Firstly, the boundaries between different deities disappear and many begin to look like duplicates of each other. And secondly, the ancient texts rarely make an effort to 'define' their gods in terms of nature definitions. Instead, one is just offered detailed stories of the 'deeds' and 'looks' of these gods. The archaic state of mythology gives the strong impression that the worship of deities had little to do with a conscious attempt to categorize nature. Instead, it directly flowed forth from a series of extremely impressive, arguably traumatizing experiences mankind had had with forces of nature rarely experienced today. From the start, the 'gods' and 'goddesses' were merely labels for recognizable and active forces observed in a dangerously active sky. It was only long afterwards that people looking at a quiescent sky began to extract rational paradigms from the jumble of remembered customs and traditions they had inherited. While the customary dictionary definitions of deities are not exactly wrong, they tend to detract from the mythical events in which these gods are merely actors. Whoever can suspend any preconceived ideas about the 'nature of the gods' and listens in to the myths themselves will repeatedly be drawn to the cycle of creation myths, in which the axis mundi or world axis plays the prominent role. In the earliest Vedic texts, Agni surely signifies fire, but this is specifically the column of fire and smoke that rose up from the altar that symbolically marked the 'navel of the world': "Eager he rises like the new-wrought pillar which, firmly set and fixed, anoints the victims." This vaporous column is none other than the tree of life: "The other fires are, verily, thy branches; the Immortals all rejoice in thee, O Agni. Center art thou, Vaiśvānara, of the people, sustaining men like a deep-founded pillar. The forehead of the sky, earth's center, Agni became the messenger of earth and heaven." 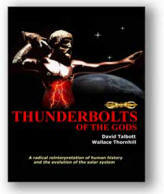 In recent years, an interdisciplinary study of mythology and plasma physics has suggested that highly uncommon electromagnetic events observed in the earth's atmosphere and ionosphere could successfully account for a large segment of the visual content of ancient creation mythology. In view of this, it may prove fruitful for future mythologists not to concentrate so much on the individual 'biographies' of the gods as on the 'bigger picture' of the mythical events themselves, specifically on the visual templates suggested by cross-cultural mythical archetypes.